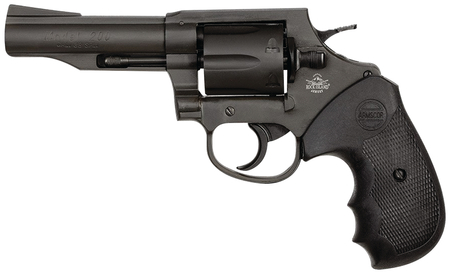 M200 Revolver is ideal for self defense with a 4 inch semi-shrouded barrel for better accuracy and handling. Includes a fixed front sight with smooth channel frame-cut rear sight for durability and constant holster use. It can be fired in single or double action. Features a combat polymer grip and parkerized finish.